During these winter months, it’s not just the January sales that will hit your wallet hard. With the thermometer dropping and sunshine in scarce supply, it’s all too tempting to crank up the thermostat and stick some extra lighting on. Plus, with all the additional entertaining we do over the festive period, you could literally end up burning cash, along with the roast potatoes! Of course, there are many ways to save energy, but you don’t have to go as far as adding a wind turbine and solar panels to your cosy little semi to make your home more energy efficient. If you are already thinking about remodelling or renovating your kitchen, did you know, there are some simple ways that you could cut your energy bills? Everything from your appliances to your kitchen worktops can be designed to be eco friendly. So, to help get you started, we’ve come up with some quick and easy energy-saving ideas to turn your new kitchen into one that’s super-efficient. These days, all electrical appliances for use in the home come with an efficiency rating (A – G), and all new appliances must meet a minimum requirement. For example, a new fridge freezer requires a minimum rating of A+. So, make sure you do your homework before buying. Once you have your fridge freezer in place, don’t be tempted to overfill it – even if you have the whole family coming round for Sunday lunch – and make sure any food you put in it has had chance to cool down, or else your fridge will be working overtime (and nobody should be working overtime this time of year! ), using extra energy to keep itself cold. A recent Which? article states that switching to a new energy efficient fridge freezer could save you up to £62 per year, so it’s well worth considering. However, when it comes to loading your washing machine, dishwasher and tumble dryer, the opposite is actually true. By washing or drying a full load, instead of lots of small loads, you’ll be saving both energy and money. Whilst you might have the heating turned up nice and high, this doesn’t mean your washing machine needs to follow suit. In most cases, a 30°C wash is more than ample to clean clothing thoroughly. The higher the water temperature, the more energy you’ll be wasting. According to Which?, an energy-efficient washing machine could save you up to £30 a year. You may have seen or heard the recent TV and radio ads which feature the line “Get Gaz & Leccy under control”. But whilst we may be aware of this advertising, how many of us have bothered to find out what it’s all about and how it could help you with your eco-friendly kitchen? 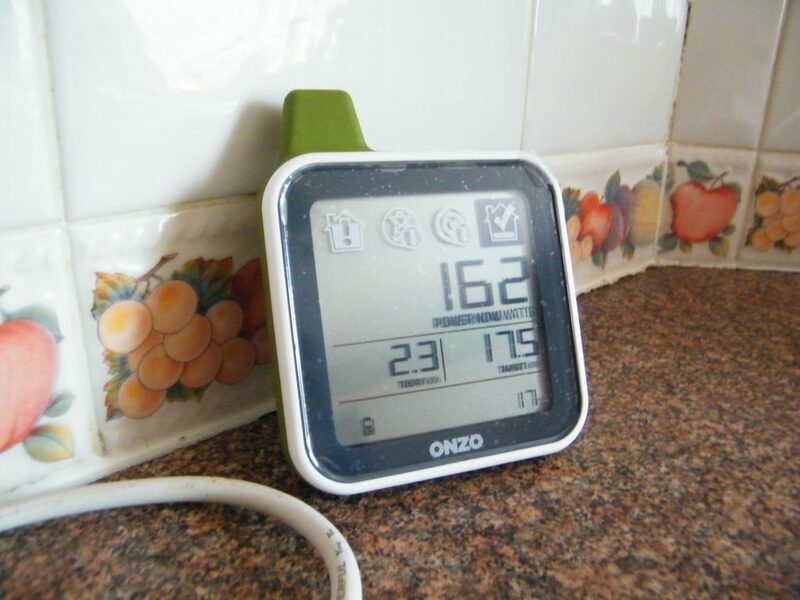 A smart meter will help you work out how much you’re spending on gas and electricity. The ad itself has been funded by Smart Energy UK, an independent body with the aim of fitting around 53 million smart meters in more than 30 million premises (households and businesses) across Wales, Scotland and England by the end of 2020. But what is a smart meter? If you haven’t already had one fitted, it may be time to contact your energy supplier. They are obliged to fit one for you free of charge, and, whilst you may have to join the queue to have yours fitted (with 30 millions properties to fit out! ), your new smart meter will allow you to monitor your energy use accurately. Take a reading before and after using your kitchen, to see how much making a meal or washing your clothes is actually costing. You’ll soon work out the most energy-efficient way to run your kitchen. One part of the kitchen that you may never have considered when thinking about such matters is your kitchen worktop. Whilst it won’t exactly save you energy, it can be eco-friendly, depending on which material you choose. One type of material you’ll be getting familiar with over the festive period is paper, but would you ever consider a worktop made from 100% recycled paper? It may sound more like April Fool’s Day has come early, but a new type of worktop called paperstone, is now making inroads into the kitchen market. 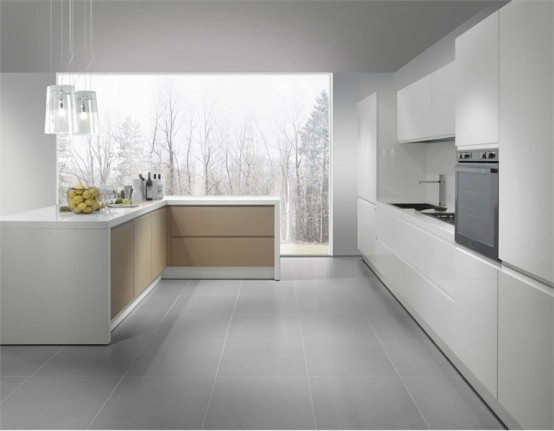 The modern eco-friendly kitchen uses sustainable and recycled worktop materials. Of course, whilst these type of worktops are in their infancy, there are other materials that are also kinder to the environment. Laminate kitchen worktops are noted for their low price and superb durability, but they are also made using recycled wood fibres and resin. This means fewer natural resources are required than, for example, wood or stone worktops. “With homeowners making ever more conscious decisions about how eco-friendly their kitchens are, their worktop material is now a major consideration. Instead of going straight for looks or durability, people want to know where their worktops come from, how they were made and whether they are friendly to the environment. Laminate is a superb choice when it comes to choosing an eco-friendly worktop, but if you do want a solid wood worktop, make sure it comes from a sustainable source. With so many quick and easy ways to save energy and use environmentally-friendly materials, why not make an eco-friendly kitchen top one of your new year’s resolutions?